Since America was born as a nation, we have a history of taking lands from those here before us as though, in some way, we could possibly have the right to these. I recall quite vividly the idea of this dominance being taught in my elementary education because, of course, we were bringing civilization to these native peoples. I am of the generation that was entertained by TV shows of the wild, wild West and easily bought that world view, not that we were inherently better in my mind but that we had so much to offer. But I was a child then. I’m not any longer. Bishop Andrus and Ruby Sales are right: indigenous peoples are to often the last to be considered. But it turns out, leaving burial sites alone is about more than simple respect. Protection prayers — those that ensure the deceased will not be disturbed on their “walk to the spirit world” — are recited over relatives who are buried. If spirits linger, like they might in the case of violent deaths, and are then interrupted, “They’re not going to be able to find their way. They’ll still roam on this land,” Spotted Eagle says. I stand with Standing Rock because we are called to care for the gift of this beautiful Earth that God has given us. The Five Marks of Mission of the Episcopal Church remind us that the “Mission of Church is the Mission of the Christ” and to that end we are to “strive to safeguard the integrity of creation and sustain and renew the life of the earth.” We are all aware of pipelines that fail with devastating effects for the land and waterways they contaminate. We likely remember the Kalamazoo River oil spill that occurred on July 25, 2010, when a 40-foot segment of Enbridge’s pipeline ruptured spilling in excess of 1 million gallons of heavy crude oil into Talmadge Creek which flows into the Kalamazoo River. At Standing Rock, where the pipeline runs so close to the Missouri River, a rupture would contaminate the only source of drinking water for over 10,000 people on the Standing Rock Reservation and neighboring communities. In recent days, the repressive power of the state has increased: armed riot police are guarding ongoing pipeline construction, increased arrests and repression of non-violent prayerful action. At the same time, Oceti Sakowin water protectors have reclaimed land never relinquished by treaty directly in the path of the pipeline and established a new camp. Our duty as people of faith and clergy could not be clearer: to stand on the side of the oppressed and to pray for God’s mercy in these challenging times. “Water is a gift from the creator, respect it, and protect it.” I was deeply moved by these words printed on the sign of a person standing with hundreds of others to protect the Missouri River. In the Episcopal Church, when we baptize a new follower of Jesus Christ, we pray these words over the water of baptism. “We thank you, Almighty God, for the gift of water.” We then recall how God used water to bless his people in the Bible, from the story of creation in Genesis, the emancipation of Hebrew slaves in Exodus, to the baptism of the Lord Jesus in the River Jordan. Indeed, “Water is a gift from the creator.” To sustain it and to protect it is to “safeguard the integrity of God’s creation,” and therefore to protect human and others forms of life created by Almighty God. That work warrants our full and prayerful support. The people of Standing Rock Sioux Reservation, standing in solidarity with hundreds of other indigenous nations and allies, are calling us anew to respect and protect this sacred gift of God, and in so doing to respect and protect God’s gift of human life. In protesting the construction of the Dakota Access Pipeline, they recognize the gift of water to all of us, a gift given to us by our Creator. The Sioux remind us “mni wiconi” or “water is life.” This God-given resource courses through our mighty rivers and our human veins, working to renew and reinvigorate all of creation. 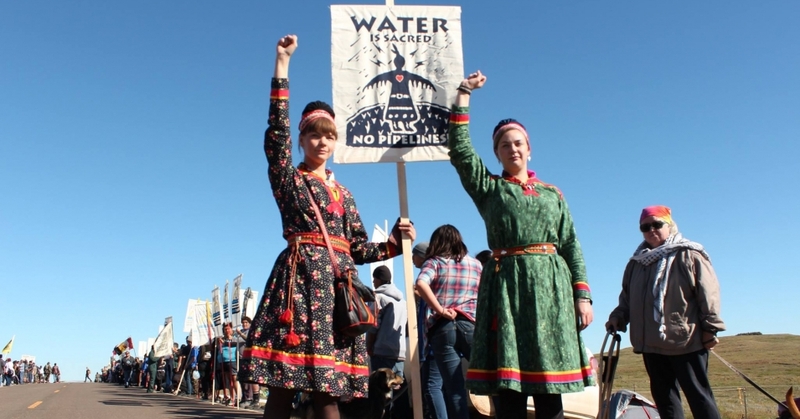 We are called to do our part to urge decision makers to recognize and honor the efforts to protect the sacred water and burial grounds threatened by the Dakota Access Pipeline. The Pipeline, if completed, would stretch over one thousand miles and transport 540,000 barrels of crude oil through hallowed North Dakota burial grounds every day. A rupture in its infrastructure could wreak untold havoc on the Sioux and catastrophically pollute the Missouri River, a sacred tributary that the Sioux people depend upon for their daily water. This stand of men, women and children is also an important moment in the life of indigenous people. 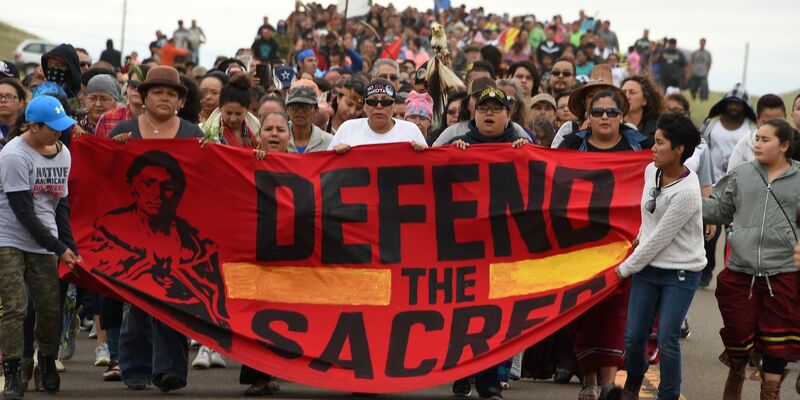 The Sioux people’s advocacy efforts to protect the Missouri River and the sacred burial grounds threatened by the oil pipeline is truly historic. Leaders of Standing Rock observe that it’s been over 140 years since such a unified call for respect and justice has been made. The Episcopal Church has a long record of advocating that government, corporations and other societal players respect the treaty rights of Native peoples. Standing alongside our Sioux brothers and sisters, we continue this legacy today. Will you stand with me for our brothers and sisters in Standing Rock? Creator of all life below, please hear my spiritual prayer. For I seek guidance in a world where few can lay claim to eternal peace. accept my daily trials, that must and will be faced to survive. Give me the strength to rise each day and breathe the breath of life that you have provided for me. Touch my spiritual soul, so that I may use every moment to spread your sacred message of love and peace for all mankind. the ways of my people, from generations of old. God, as each spirit flows, from one to another in a sacred hoop. trust that we as a people choose never to repeat such ignorance. the masses, for all owe you their daily prayers. Guide my feet down the passage of forgiveness, of those who have severed my tribal ties, and help me to bind them once more. brothers and sisters throughout the duration of my earthly existence. moon allow it to meditate and rest. May your spirit continue to heal and instill within me the meaning of this spiritual prayer, and trust that I use it to serve you well.